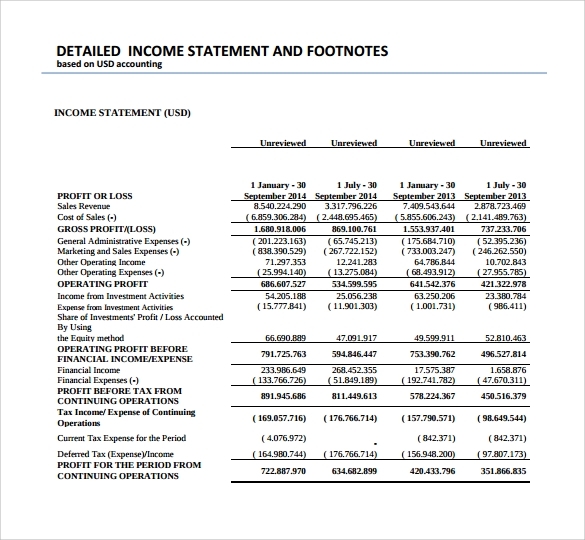 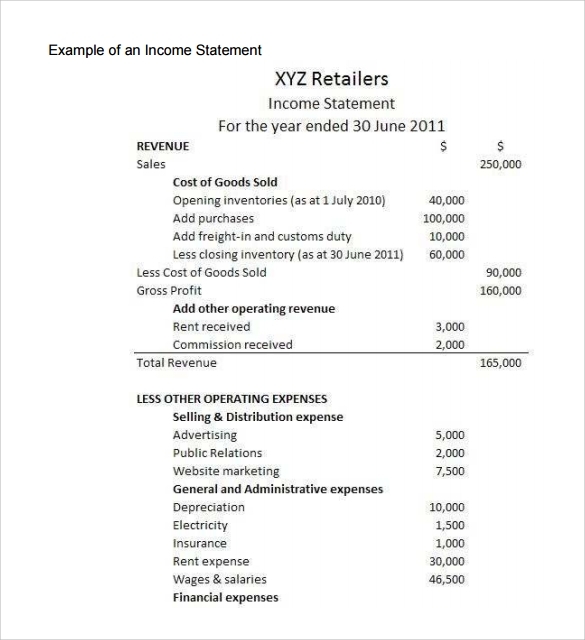 An income statement, also referred to as profit and loss statement, is one of the financial statements of a company and shows the company’s revenues and expenditures during a particular period of time. 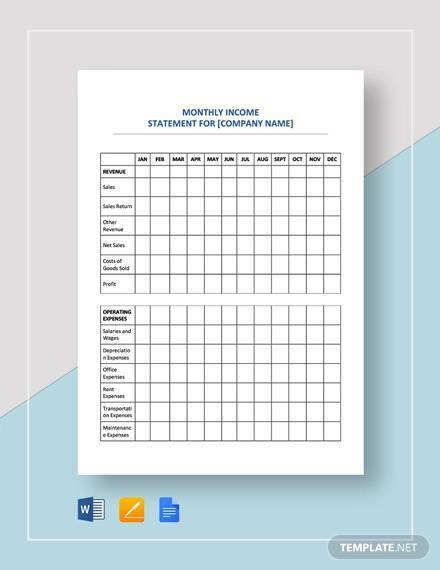 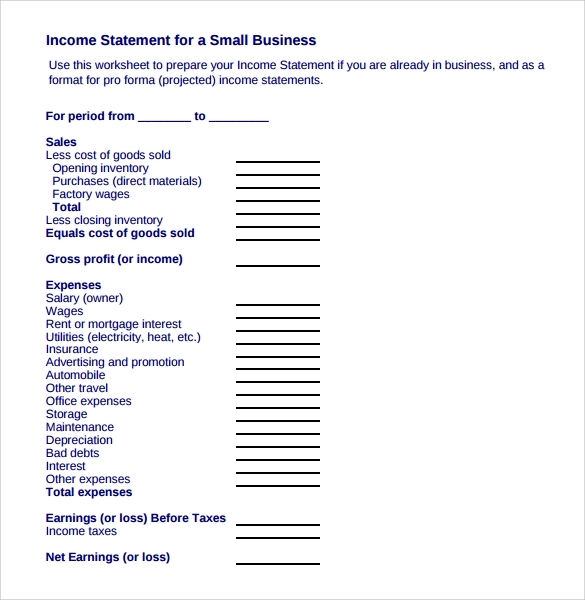 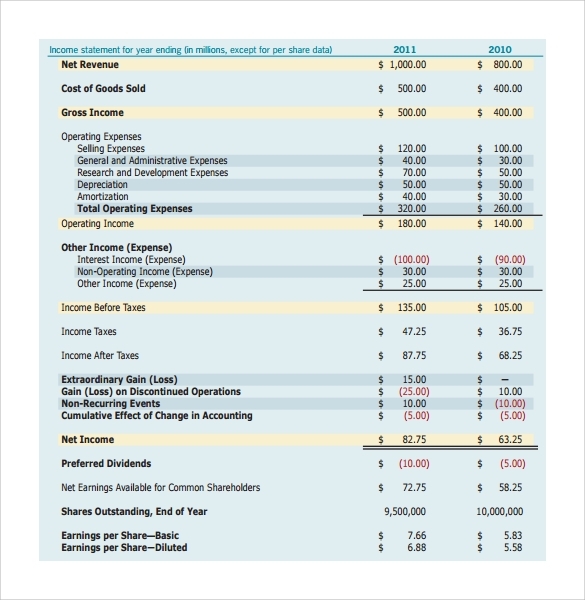 There are various formats of income statement available: classified income statement, single-step income statement and condensed income statement to name but a few. 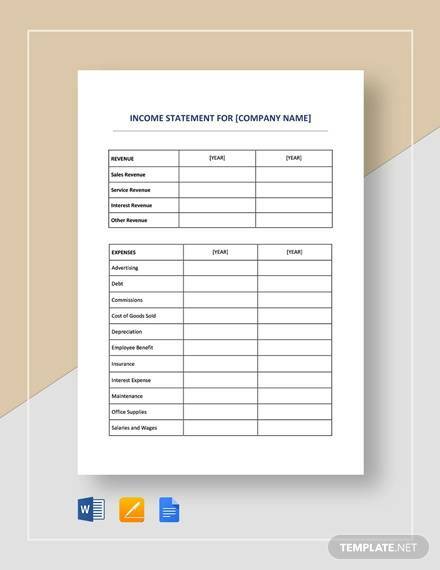 You can now make any type of contribution statement templates using our income statement templates formats we offer you. 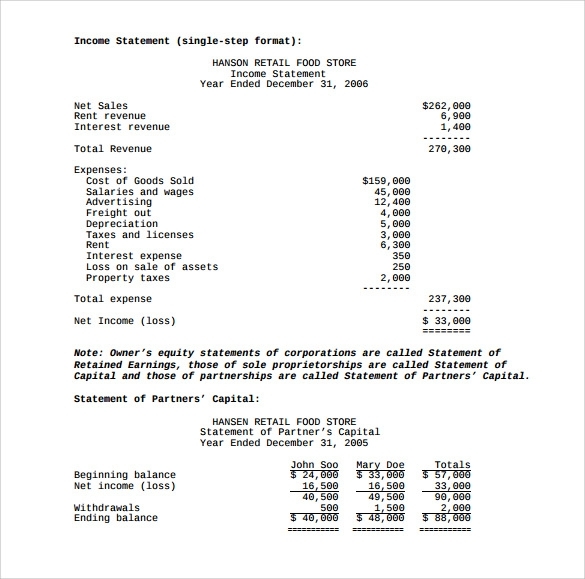 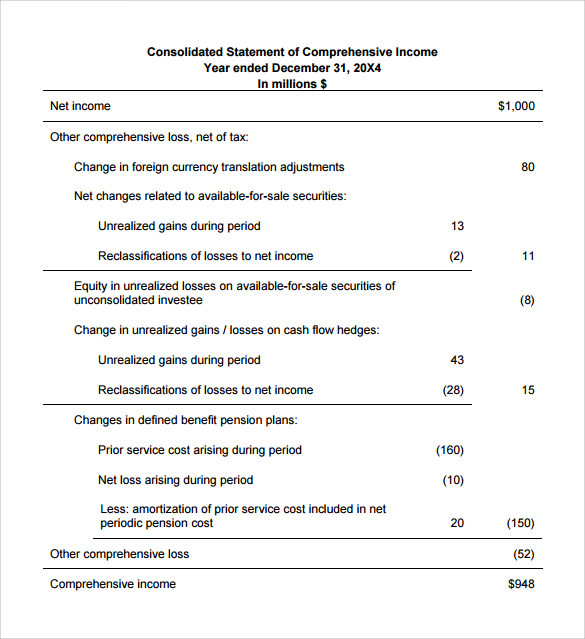 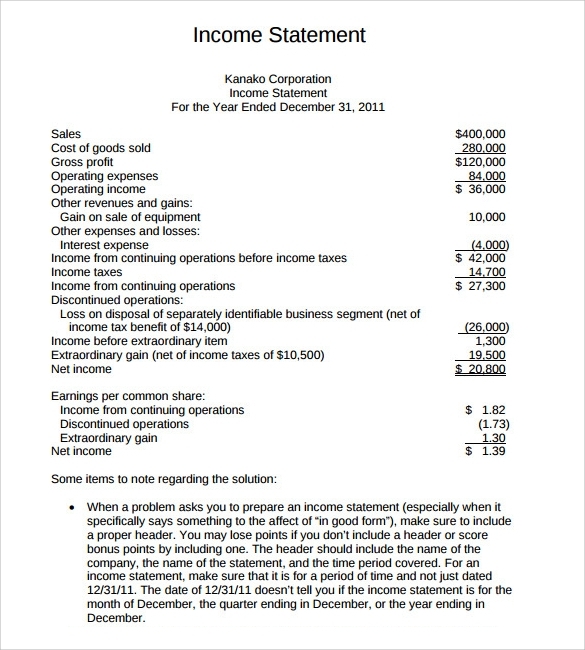 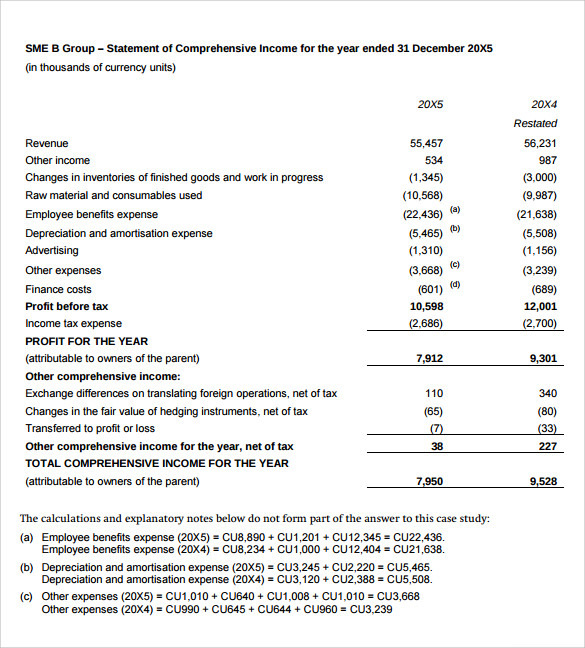 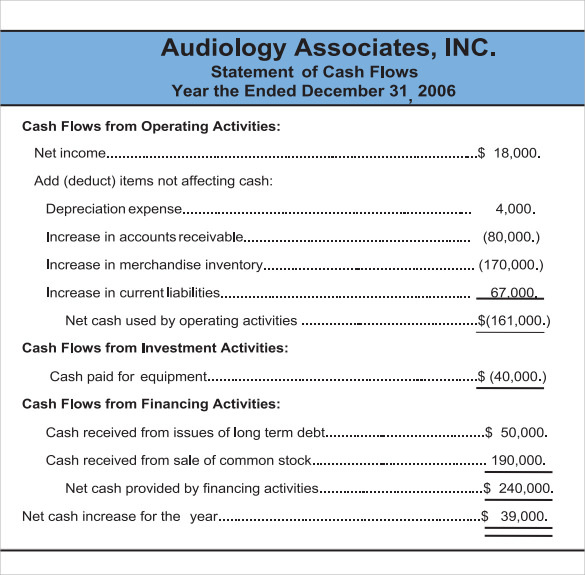 We have a collection of professionally developed income statement formats. 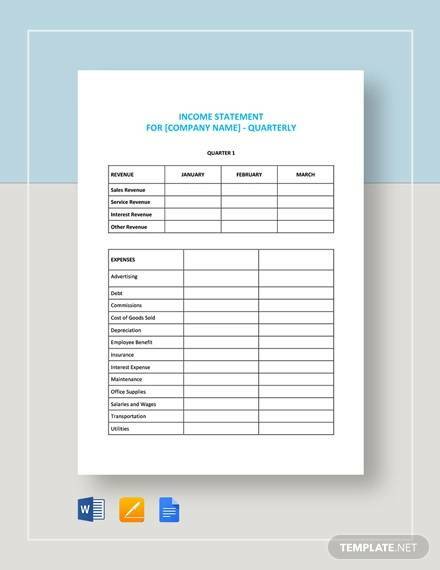 These formats are made following standard norms of income statement format and are available for download in word and PDF formats.